The DDNet team is always up for a good debate, so we figured we'd start to record our various arguments and stick them up for your amusement and/or information! On a regular basis we'll find a topic to discuss, and then we'll sit down to chat about it. Then we'll post up the conversation here for you all to have a read. Be prepared for an equal mix of insanity and serious discussions. For our first go at this, we figured we'd chat about a series that we're all quite fixated on at the moment: The Persona series. How are we finding Persona 5? What do we like about it, compared to previous games - and were the previous games better in any way? And, of course, the most important discussion of all; who is the best waifu of all. We hope you enjoy these debates! Harvard L: Chie is the best character, everyone fight me. Matt S: Harvard's already lost, one comment in. 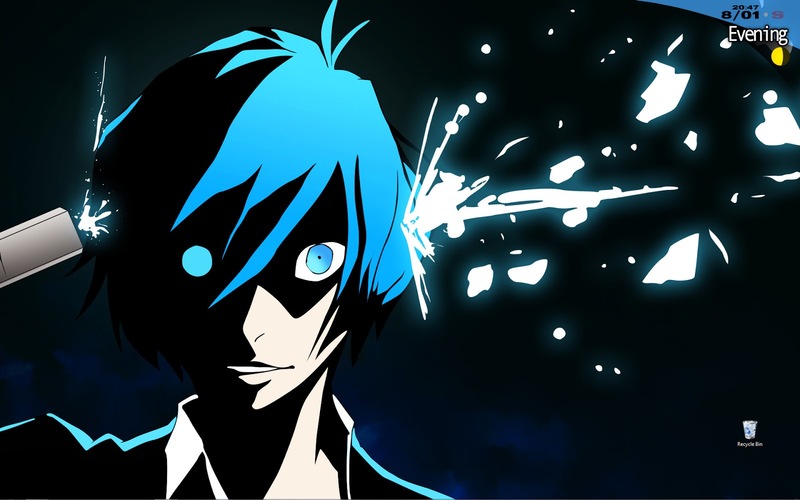 Chie's okay and all, but she's nowhere near best Persona character. And it only gets worse for her now that there's Ann and stuff in Persona 5. I still maintain that Persona has this weird thing going on where your favourite characters are always going to be similar in some way to whoever you had a bad crush on back at school or whatever. The developers are quite incredible at taking various, shall we say, stereotypes, of school life, and then representing them in a remarkably authentic way that is somehow relevant to far too many people. I always found myself crushing over ridiculously cute girls way outta my league, so that explains Risette and Ann. Harvard L: I think I understand where you're coming from regarding the high school crush comment. In which case I retract my support of Chie. Matt S: Oh. Well, now I feel bad. More seriously I'm looking forward to people's impressions of the Persona 5 bunch, given that the whole "which group is better" debate between Persona 3 and 4 might just kick off World War 3 yet. It's an... interesting bunch of characters. I want to say that they come across as more generally adult than the characters from the previous two games, in the sense that it's actually difficult to picture them as high school students at all at times. Well, except for Ryuji. I have no difficulty believing he's an annoying high school kid. At this point I would share screenshots to highlight what I mean, except of course Atlus decided to block screenshots entirely in Persona 5, which is quite possibly the most irritating thing Atlus has ever done in its history. Nick H: Atlus has been super protective of this game, locking down screenshots, video, and being rather heavy-handed with what you can publicly talk about from the game. Doesn't keep me from using my capture card if I want, but they aren't making it easy at the very least. 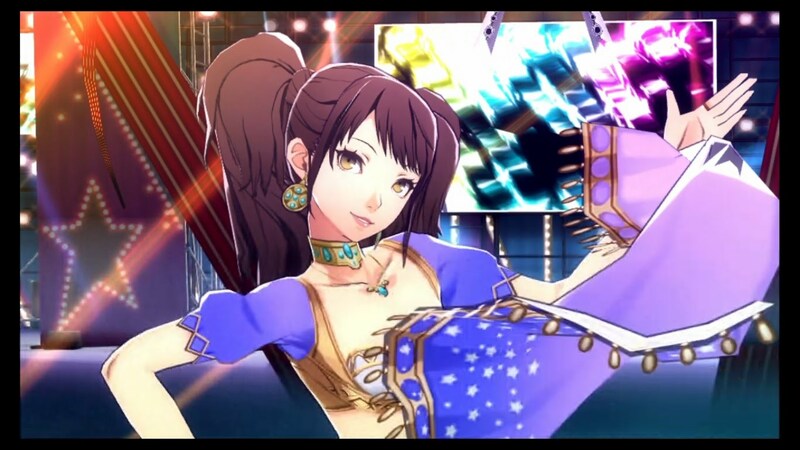 Also Yukiko > Rise + Chie. Though I rather am enjoying Ann so far quite a bit for Persona 5. As for what I like most? In terms of the gameplay, it has lots going for it with a variety of systems and the perpetually moving calendar that allows you to actually roleplay as you decide how to use your time and with whom. In terms of the visuals (though I am personally not always a fan of the goofy-looking demons. The hell is with the one sitting on a toilet in P5?) and music, they are incredibly stylish and unique. As for the actual content? There isn't a rescue the princess or the more cliched storylines. They dare to go to some pretty dark places and handle these somewhat taboo topics as well as books or movies do. 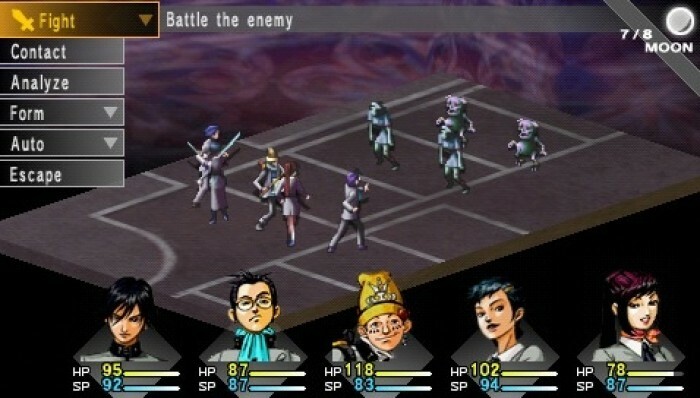 Ginny W: What I've always enjoyed in terms of the Persona series is the conceptualisation of villainy. That it's not necessarily a world boss causing the apocalypse but it's the very real, and very painful stress of dealing with the ordinary e.g the expectations of family, honour, being a high school student in Japan, dealing with things otherwise kept behind closed doors. I think it offers a good commentary on the ideal of helping others and always being there for your friends, and it works best when it's capturing a very specific time of your life/ the player character's life - high school. That's what I play Persona to experience and to enjoy. That, and if we're counting Persona: Dancing All Night? I play that to enjoy Risette in outfits of my diabolical choosing. Matt S: I think that's the biggest reason that I venerate Persona 4 above all others, Ginny. The villains are, for the most part, the protagonists, and the whole game is a metaphor for how the simple act of reaching out to someone in need can help improve us all. 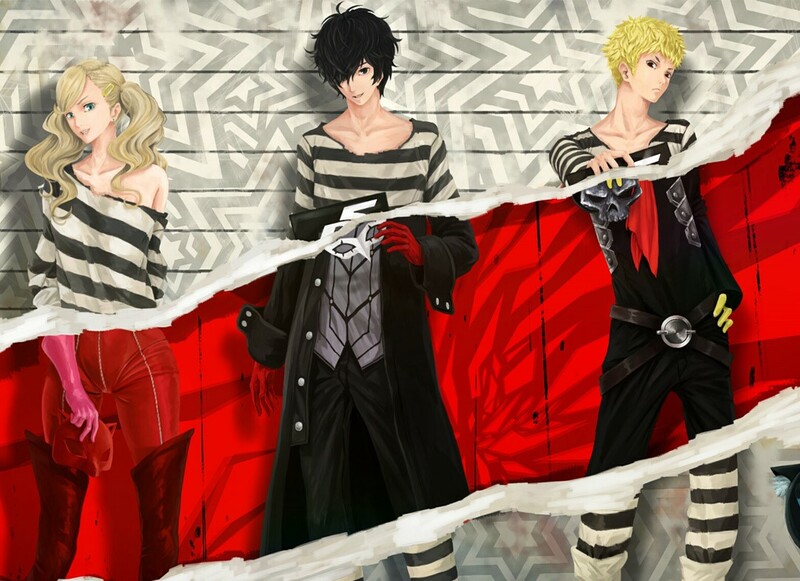 Persona 5 I appreciate because, as Nick said, it does go to some really, really dark places, and it does so in a responsible and mature fashion; there's nothing exploitative about its themes. But the villains in the game are the antagonists, so as good as the characters are, we never get to know them quite as well as we do in Persona 4. What I will also say is that I am now 100 per cent convinced that Tokyo Mirage Sessions is the cutting room floor stuff from Persona 5. The games are, in tone, approach, and identity, identical. And that goes to show the quality of Persona 5 since Tokyo Mirage Sessions won all the DDNet awards last year. 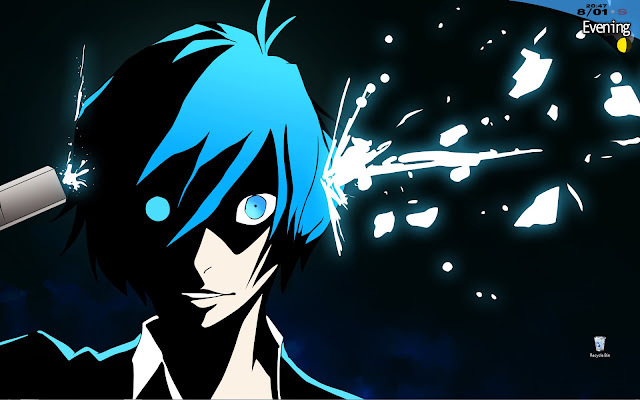 Matt C: I'm with you on the Persona character crush thing. Not just in terms of crushes, but more broadly in terms of characters and relatability. I love Rise heaps, and part of that is maybe the whole "crushes on super popular, pretty, out-of-your league girls"... but also Kanji and weird confusion around sexuality. But on the other side, I absolutely loathe Yosuke. But that's a lot to do with the fact that I see a lot of my teen self in him. And there's a lot of stuff that I hate about myself in that; I like to think I've grown out of that mostly. Matt S: Just wait until you meet Yusuke in Persona 5, Matt. It makes me sad to think that he reminds me far too much of myself. Matt C: All I've played is the opening sequence, which is amazing. I love P4, but it took me a long time to get into it, and I had to restart a few times because of getting distracted by other games early on. But P5 got its hooks in instantly. The only thing stopping me playing is because I have a bunch of other more pressing reviews. Harvard L: Does it work in a "I played P4 and I feel like I'll love this as much as I loved that" way, or in a "this is immediately awesome" way? Alan M: Persona 4 was a really, really good intro into the series though, because I’m a pretty new person to the whole SMT universe, it didn’t just immediately confuse me with everything. I’m very happy I got into 4 before 3, because 3 would have destroyed me, if that was my first one. Matt S: I actually feel slightly differently to Matt. P5 was immediately gripping to me on a visual level; i.e. "this is the most incredibly stylish game I've ever seen". But the narrative is an incredibly slow burn. The first 20 hours you have almost no freedom to actually do anything other than follow the game's breadcrumbs, and the interactions between the characters are limited because there are so few of them in your party. 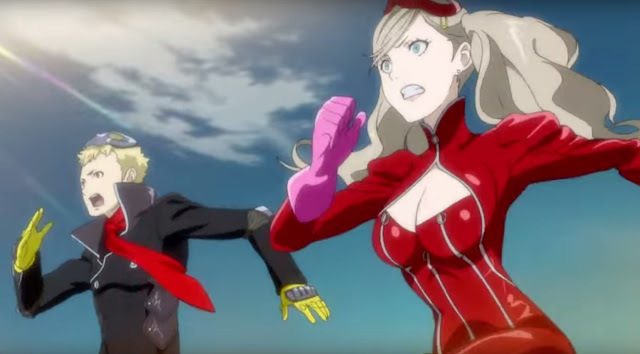 Persona is a series that needs a lot of characters to bounce personalities off one another. Similar to Persona 4 I wasn't truly hooked until I got about 20 hours in. That being said, the game is a visual masterpiece from its opening second. I've never seen a game manage to saturate the screen with such incredibly deep colours before. It's like the art team secretly hired Andy Walhol to carefully construct every square millimeter of the screen. I also love the contrast in how saturated and kinetic the world is in Persona 5, when compared to the more laid back and serene world of Persona 4. From one game to the next they might be generations apart technically, but more importantly, they're also a nice contrast in visual theme, with one reflecting a "Japan of old struggling against the new Japan," theme, and the other reflecting the opposite, the "modern Japan struggling to maintain its identity", which is a theme that plays out in the real world Shibuya in Tokyo today. Matt C: That's definitely a big part, Matt, but also, I liked the framing device in the opening of Persona 5. I love a good framing device, and P5 is almost up there with Catherine. Even if the story itself is a slow burn, the framing gives it some context that I think will keep it interesting. Matt S. We all tend to forget just how old Persona 4 (and, thus, Golden) really is. That game was so far ahead of its time. Matt C: That was, what, 2008? Almost 10 years. Matt S: I've got to say, aside from Anne (because I have a thing for twintales), my favourite character in Persona 5 has got to be the "conflicted but totally pervy" artist, Yusuke. There's something so delightfully pretentious about him. Reminds me of myself as I said earlier. I'm amazed that every time there's a new Persona game, there are genuinely different characters, too. I thought going in to Persona 5 that they'd use similar archtypes as the Persona 4 bunch, and Ryuji and Anne were pretty dead ringers for Yosuke and Risette, so the early impressions didn't help, but the rest of the cast managed to be very different. I was impressed by the characters. Matt C: I'm hanging out for Persona Q 2 (Persona R?) with P4 and P5 characters. Matt S: Oh yes, a sequel to Persona Q on the Nintendo Switch that brings Risette and Anne together would be amazing. Matt C: Persona Q was so great. People slept on that, but it was so good. Matt S: It really was. I guess it got overlooked because it was a 3DS dungeon crawler and those games get overlooked for some reason, but I haven't played a better dungeon crawler. Ever. Even if they ruined the character of Teddy in Persona Q. 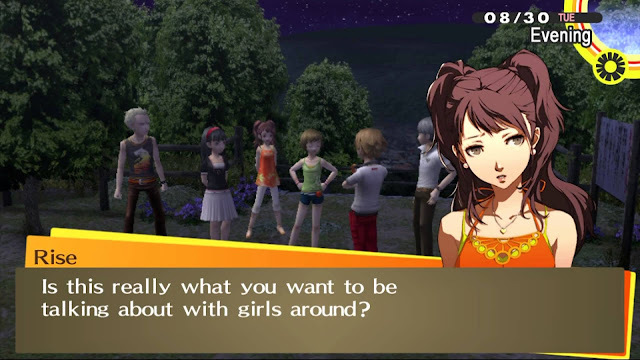 In Persona 4 Teddy is an innocent flirting guy. 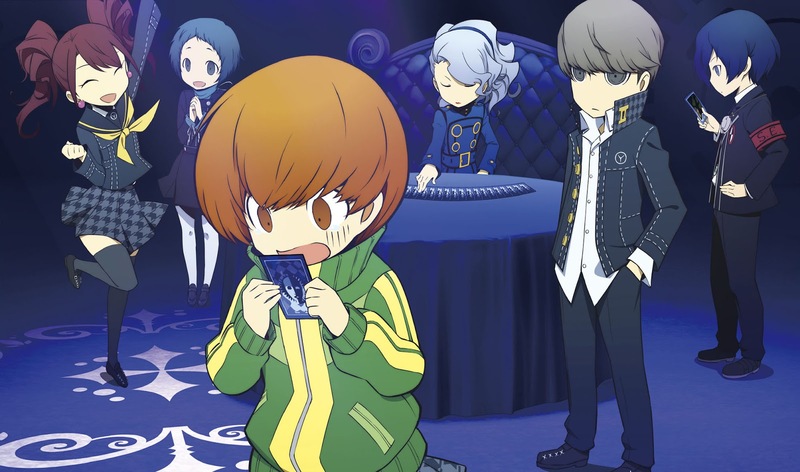 In Persona Q he's actually lecherous and it stops being cute. Matt C: He's a bit lecherous in P4, but definitely dialed up in PQ, but that was kinda the point, I think? It was a really silly parody of/homage to Persona, with a lot of those kind of exaggerations. Matt S: For sure. And I liked how that worked for all the other characters (including Risette, who is oh-so-adorable in chibi form). But yeah, I felt they ruined Teddie. Matt C: Another example is Kanji in PQ; lots of gay jokes. Not hostile homophobic jokes, but jokes playing off his sexuality in funny ways, talking about whether he wants to be the top or bottom (of a human ladder to climb over a thing). Matt S: I always interpreted Persona 4 as Kanji being properly bisexual, but suppressing the side of him that is attracted to men. Matt S: I know some people have issue with how Kanji was portrayed in Persona 4, but I generally felt it was good, as long as you worked under the assumption that he was attracted to men and women. Yosuke was nasty to him, but then we were never meant to sympathise properly with Yosuke, and at least all the other characters called him on his crap.